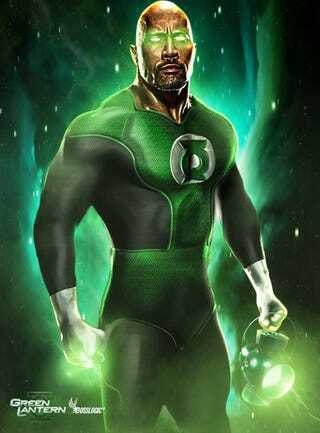 So my question is this: its not if Dwayne has the ability to p!at someone who is arguably the best of the Green Lantern Corp, but if he should? I mean jeez have you seen the size of him? He is going to be bigger than anyone else on cast, including Superman! I have nothing against the rock at all, but damn, when supes is your main guy, do you really want him over shadowed by a character that really few people outside the comic world even know?